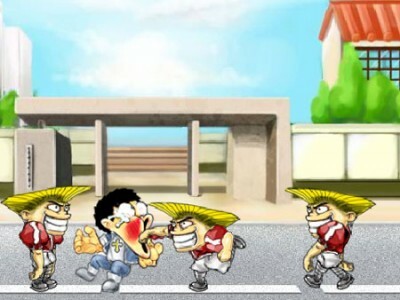 In this action game your task is to defeat everyone who attacks you. In each level you will meet lots of enemies and in the end you will meet the boss. Try to defeat all of them. Use the arrow keys to walk to move and jump.